Guest blogger Mary-Anne Lowe – CEO Of BRAMLEIGH RECEPTIONS shares her views on today’s Weddings. In the wedding industry, the term unique is thrown around constantly. Nuptials are constantly looking for that elusive unique entity that will make their wedding and reception shine like no other. 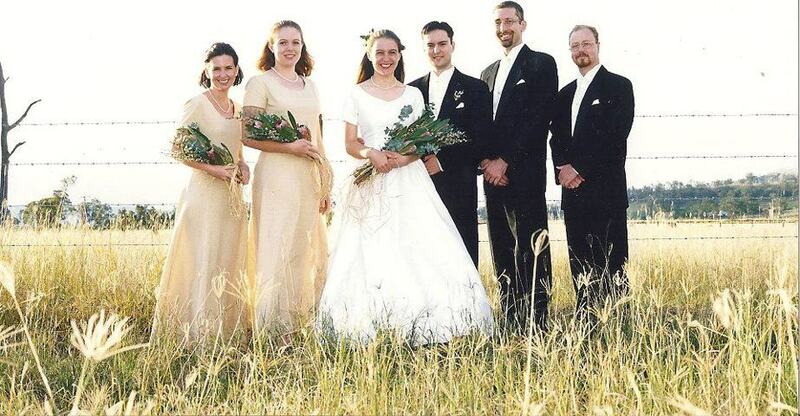 The obvious one is the bridal gown and over the last two decades, I have seen a sea of diversity in the gowns that brides choose to look unique. Flowers, being seasonal, are often a hard one to captivate in the ‘unique’ basket, but brides give it a red, hot go! Sometimes, it is the intricate elements of the wedding and reception that give uniqueness a whole new meaning. I am often very impressed by the level of details a couple gives to the quality of their Bonbonniere or favours. Gone are the days of silver cake slicers with a bag of almonds or an ornament which will eventually gather dust. These days, couples are very creative with their favour investment. 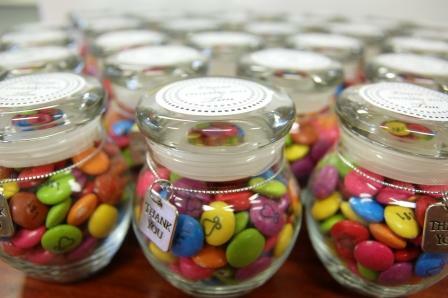 Just recently, I noticed my staff putting beautiful glass jars filled with personalised printed smarties on the tables in preparation for the wedding. Wow what an impact and talking point for the guests. These smarties were printed with a special announcement and were printed on pink and blue smarties.. You can only imagine what the surprise message was for the guests ! Very unexpected but also very exciting! 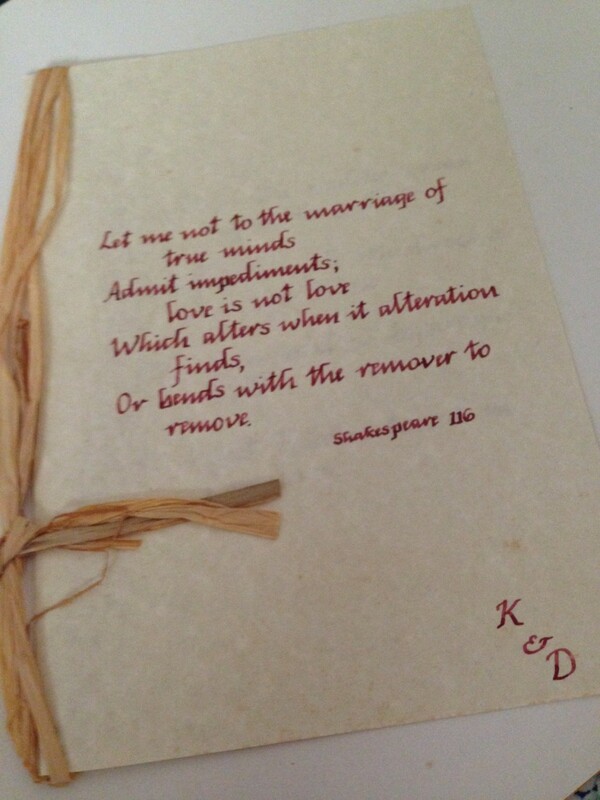 Contemporary brides are also lifting the bar in what they give to their husbands on the day as a gift and vice versa. I used to cringe when a puppy was pulled out of a basket with a white ribbon to be given to the bride as a gift! Fortunately, that fad is long gone and we are now seeing a range of gifts that are more personal, private and sometimes just for the eyes of the newlyweds. On the wedding day, the most important piece of jewellery given is the wedding ring, but often the groom will surprise the bride with beautiful pair of earrings, bracelet but I find the most treasured gifts are those that can’t be bought with money, it’s the ones where the bride or groom leave a card and notes for them to find on the wedding day, or a bride making a packed lunch of his favourite sandwich for the wedding day to make sure he has something to eat. It is these moments that bring a tear to my eye and are the reason why there is no better industry to be part of.